Chiropractic is a health care profession that focuses on disorders of the musculoskeletal system and the nervous system, and the effects of these disorders on general health. Studies show that chiropractic is a safe and effective treatment for many spine related conditions without the use of drugs or surgery. Chiropractic care is used most often to treat neuromusculoskeletal complaints, including but not limited to back pain, neck pain, pain in the joints of the arms or legs, and headaches. The most common therapeutic procedure performed by chiropractors is known as “spinal manipulation,” also called “chiropractic adjustment.” The purpose of manipulation is to restore joint mobility by manually applying a controlled force into joints that have become hypomobile – or restricted in their movement – as a result of a tissue injury. Tissue injury can be caused by a single traumatic event, such as improper lifting of a heavy object, or through repetitive stresses, such as sitting in an awkward position with poor spinal posture for an extended period of time. In either case, injured tissues undergo physical and chemical changes that can cause inflammation, pain, and diminished function for the sufferer. Manipulation, or adjustment of the affected joint and tissues, restores mobility, thereby alleviating pain and muscle tightness, and allowing tissues to heal. Chiropractors may assess patients through clinical examination, laboratory testing, diagnostic imaging and other diagnostic interventions to determine when chiropractic treatment is appropriate or when it is not appropriate. Chiropractors will readily refer patients to the appropriate health care provider when chiropractic care is not suitable for the patient’s condition, or the condition warrants co-management with other members of the health care team. How do Chiro and Physio differ? Chiropractors are known as the ‘spinal health experts’ who work to help improve your body’s nervous system. Chiropractic assumes that a healthy and properly functioning nervous system equates to improved overall health and well-being. Chiropractors address all demographics including babies, infants, children, athletes, adults, pregnant women and the elderly. Chiropractic focuses primarily on the spine and the alignment of the vertebrae, the skull and the pelvis. The spinal column, consisting of the vertebrae, contains and protects the spinal cord and the many nerves that branch out from it. These nerves form the nervous system and are responsible for all our bodily functions and supply all the tissues, cells, organs, ligaments and tendons in the body. A chiropractor aims to improve the flow of information along these nerves, which are sometimes impaired through misalignment of the vertebrae. Though chiropractic is not just about the spine – it also focuses on nutrition, exercise and your health and well-being as a whole. Lower back pain, neck pain, headaches, tension between the shoulders and posture are the principal reasons people consult a chiropractor, although they also treat a number of other issues, both structural and functional. Examples include digestive issues and energy levels. Research suggests it can also be helpful in treating menstrual pain, fibromyalgia and carpal tunnel syndrome just to name a few. Physiotherapy treats pain symptoms with exercises and other physical treatments. It is especially helpful with rehabilitation after accidents, surgery and peripheral areas such as elbows, knees, wrists, etc. Physios also frequently use machines such as TENS or ultrasound as part of their treatment approach. In the public health system the diagnosis and treatment requests tending to emanate from an orthopaedic surgeon, consultant rheumatologist etc. As a result, treatment will also tend to be more specific than holistic. Osteopathy is a system of diagnosis and treatment, usually by manipulation, that mainly focuses on musculo-skeletal problems to enhance blood supply activity, thereby resolving mechanical problems of the body. It is more similar to chiropractic, however techniques, philosophy and intentions are different. The osteopath doesn’t treat a painful back, stomach or knee, but a body as a whole unit that is suffering an injury, and must be treated in an integrated holistic manner to return to good balance and function. Osteopathic treatment combines joint mobilisation and manipulation – with work on muscles, ligament and other soft tissue using a variety of techniques, as well as gentle work on visceral structures when required. 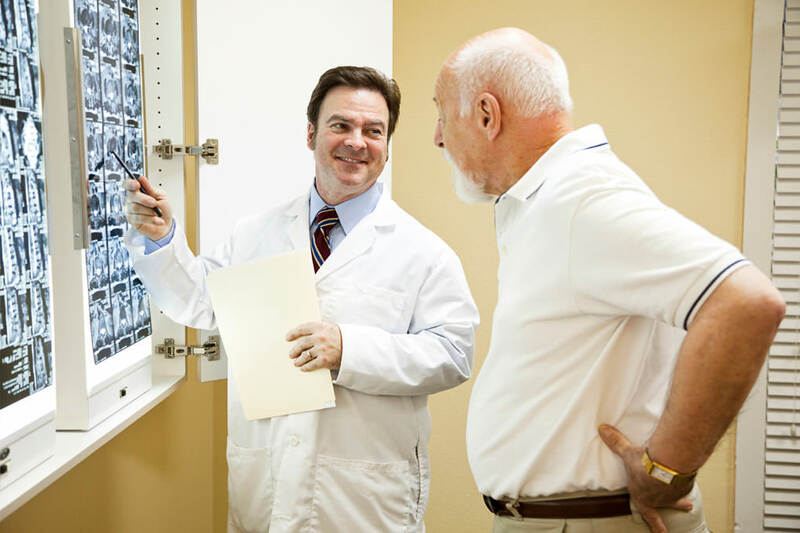 While typically thought of as “bone doctors”, chiropractors actually focus on the nervous system and painlessly, manually adjust the vertebral column in order to affect the nervous system. According to Gray’s Anatomy, the nervous system is the master system in the body and controls and coordinates all other systems such as respiratory, digestive, muscular, and immune. 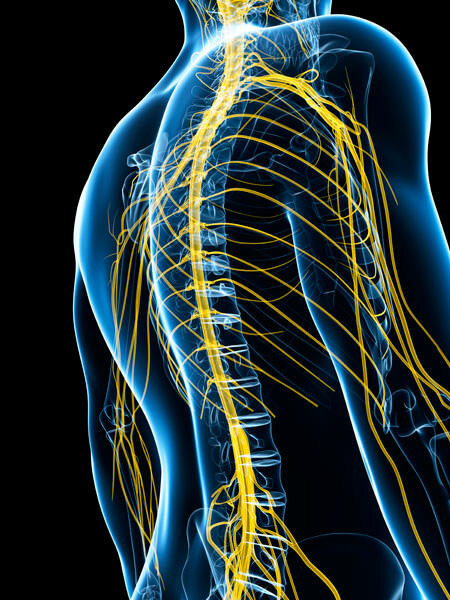 The nervous system includes the brain, spinal cord, the spinal nerves that exit the vertebral column through openings on the sides of each vertebra, and all the peripheral nerves that branch off to serve organs, tissues, blood vessels, muscles, etc. Information from the environment, both external and internal, goes through the spine to get to the brain. In the same manner, information and decisions made in the brain go through the spine to affect certain outcomes. It is a two-way flow of information. The intention of the chiropractic adjustment is to remove any disruptions or distortions of this energy flow that may be caused by slight vertebral misalignments that we call subluxations. Chiropractors are trained to locate these subluxations and then to remove them, thereby restoring the normal flow of nerve energy in terms of both quality and quantity. The idea is that if the master system, which is the nervous system, is healthy and functioning well, then the other systems under its control will also function in a more optimal fashion. Chiropractic is based on the belief that the same innate intelligence that can grow a single cell into a complex human being, made of billions of cells, can also heal the body if it is free of disturbance to the nervous system. For example, if the area of spine that supplies nerve flow to the lower leg is subluxated (or disturbed) then information going to the brain regarding that organ and its function, will be distorted and the brain will not be receiving accurate data, so the patient will experience a shooting pain down the leg, known as sciatica. Likewise, decisions made in the brain and conveyed along the nervous pathways will be disrupted and the correct responses will be unable to be made and the patient may also experience a numbing sensation in certain areas of the leg. It is essentially the same scenario for all other organs, muscles, blood vessels and so forth. When a chiropractor removes this interference, then the nervous system functions more optimally and the body is able to heal itself via the two-way communication system.